You can also either register and/or pickup your race packet Friday, September 27, 2019 from 4:00 p.m.-8:00 p.m. at the Glenda K. Scott Food Stand next to the beer tent OR the day of the Race, September 28th from 8:00 a.m. up to the start of the race at the Valle Tell Soccer park. T-shirts~ all participants will receive a T-shirt if signed up by September 21st. You are NOT garenteed a T-shirt if your not signed up by September 21st. Starts at the Valle Tell Soccer Park and heads out of town on Valley View Rd. Runners will turn around at Edelweiss Rd. 10K runners will turn right onto Airport Rd. Turn around and run back to the Valle Tell Soccer Park. 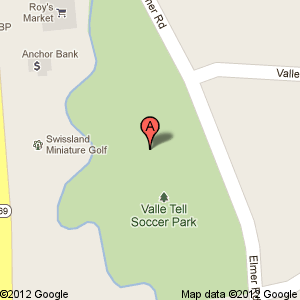 5K runners will continue on Valley View Rd to Valle Tell Soccer Park. Walkers will leave the Valle Tell Park and follow runners they will then turn onto the Sugar river trail and follow the trail back to the Park. Click on "Google Maps" below to get directions to "Valle Tell Soccer Park"
There will be fruit and water at the park you may also join us at the beer tent for a nice cold New Glarus beer compliments of the New Glarus Chamber. 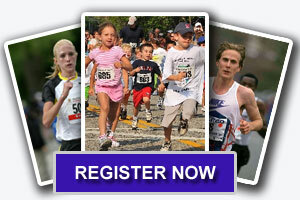 For all runners 21 and older. All participants will receive a T-Shirt, A Finishers Medal, A Free Digital Photo, One Free New Glarus Beer Ticket & Free Live Music at the Beer Tent! T-shirts~ all participants will receive a T-shirt if signed up by September 21st. You are NOT guaranteed a T-shirt if your not signed up by September 21st.